What Do You Think of Armond White? 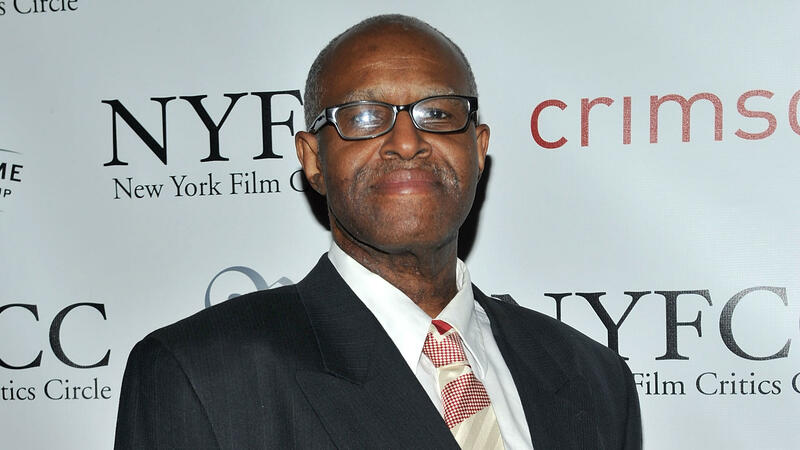 A few weeks ago, critic Armond White was kicked out of the New York Film Critics Circle after heckling 12 Years A Slave director Steve McQueen on stage at the group’s annual award ceremony. This isn’t the first time White has had an incident with the NYFCC (he ridiculed Darren Aronofsky a few years ago as well as Michael Moore) but it’s a major action prompted by the group, one I completely agree with. Armond White has long had infamy for his notorious reviews. He has panned many noteworthy movies like There Will Be Blood and Beasts of the Southern Wild but sung the praises of Michael Bay and Adam Sandler while using a faux European prose. Worse, White has been known for attacking anyone who disagrees with him, going as far as accusing the famed Village Voice critic J. Hoberman of racism. I think White is mean-spirited and is not a critic but an internet troll who thrives on negative press. I’ll be honest, I’d never heard of him or read any of his stuff until this happened. I still haven’t read any of his stuff, and will probably keep it that way. I’m with you. He sound like a troll, desperately seeking attention. Don’t give him the oxygen. I would agree. He writes contrarian reviews just to get attention. Good for the NYFCC ! I’m glad they made that move. Must have been difficult, but White’s actions made it necessary. Oh yeah, definitely a troll. The NYFCC did the right thing. The only thing I can criticize about the NYFCC’s decision is that they didn’t do it earlier. The only critic about as rude as White is Rex Reed. Oh I forgot all about that old troll. The man’s an idiot! Obviously thriving on controversy and negative attention. I don’t pay him any time at all. I agree, he loves the negative press he gets, despite his low credibility in the film world. Quoted him in my review for 12 years…Internet troll describes him perfectly. I wonder if White really believes in most of the stuff he writes and does. The guy is incredibly obnoxious. I only learned about this guy after the heckling incident and I have to say, I don’t like him at all. I recently read that he claims the events of The Act of Killing are ‘fakery’ and a ‘mockumentary’ since ‘Errol Morris makes mockumentaries’. What kind of idiot denies history like that? I’m sure it was all to get a reaction, but that kind of deliberately provocative behaviour is ridiculous. I choose not to be regularly outraged on the internet so I’ll be avoiding him from now on. He said that about The Act of Killing? Talk about ignorant. He disgusts me. Armond White represents the very best and the very worst of film criticism. On the one hand, he appears to be a bigoted and quite vicious character, who obviously tries to go against the grain as much as possible (he praised The Hurt Locker but when fellow critics expressed their admiration he changed his mind on the film). However, Armond has also wrote some of the most fascinating and interesting pieces in recent memory (his Criterion essays are a good place to start). White does write some interesting stuff and I’ve agreed with him before, like his appraisal of A. I. If only he were to stop trying to act as a contrarian all the time. On the one hand, the guy is completely obnoxious. His reviews are absurdly written, and that’s not even taking into account how out there his opinions can become. It’s like the guy writes with a thesaurus actively open, and is in a constant search for the largest, most obscure words that exist in the English language to abuse at every given opportunity. Ha, I also feel that White looks through a thesaurus when writing reviews. His writing is incredibly pretentious. Have not read reviews of his, but have heard him talk in a couple of episodes of the Slashfilm podcast, including one about the supposed heckling. He denies everything, but there must be a good reason he has been expelled. In those interviews he does come across as someone who knows what he is talking about, only his conclusions are different from others. I think it is never bad for someone to give another opinion as it can shake up things a little, another sound sometimes is necessary. He might be shocking, but I respect his opinions, even if I do not agree. I do think he’s a knowledgable guy and has sometimes written some wise things. But often he tries to stir up controversy like giving a film such as Grown Ups. I have kind of mixed (though mostly negative) feelings about White. For starters, as a person he comes across as a right douche. He is nasty, exceedingly arrogant and has no interest in hearing the opinions of others. If you haven’t, you should listen to the episode of the Slashfilm podcast that Dave Chen recorded with him after the heckling incident. Dave is trying to give him the opportunity to give his side of events without being a walkover. And White is just horrible too him. I think he absolutely deserved to be booted from the NYC Critics after his behaviour the last couple of years. As an actual critic, I think he is an important and challenging voice, but only some of the time. A lot (most?) of his work, is just him being contrarian for the sake of it. Saying the Transformers are brilliant for example. But on occasions, he does go against the critical norm in a way that is challenging and in which you can tell he actually believes. And I do think that we need people to be more willing to say why they don’t like a critically acclaimed film rather than just going along with the crowd or damning with faint praise. I just wish he would do more of that, rather than believing in his own hype and being a douche for the sake of it. We definitely need more diversity amongst critics, and obviously that extends to needing more African Americans. I only wish he would be a little more accepting of the views of others and genuine in his own views. I think the only critic ruder than White is Rex Reed. Occasionally he does say something with insight, but he usually acts obnoxious and dismissive.